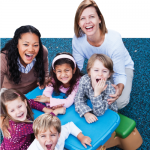 This training is for center-based programs and family child care providers and offers an overview of the Environment Rating Scales. The Environment Rating Scales are user-friendly assessment tools that measure the quality of the learning environment for infants through school-age children. After completing this training, participants will be able to use the tool(s) for program self-assessment and improvement planning.